This pie is the second thing I ever baked in my new kitchen. This pie was me saying "I have leftover homemade graham crackers from the s'more cupcakes. I have peanut butter out the whazoo. 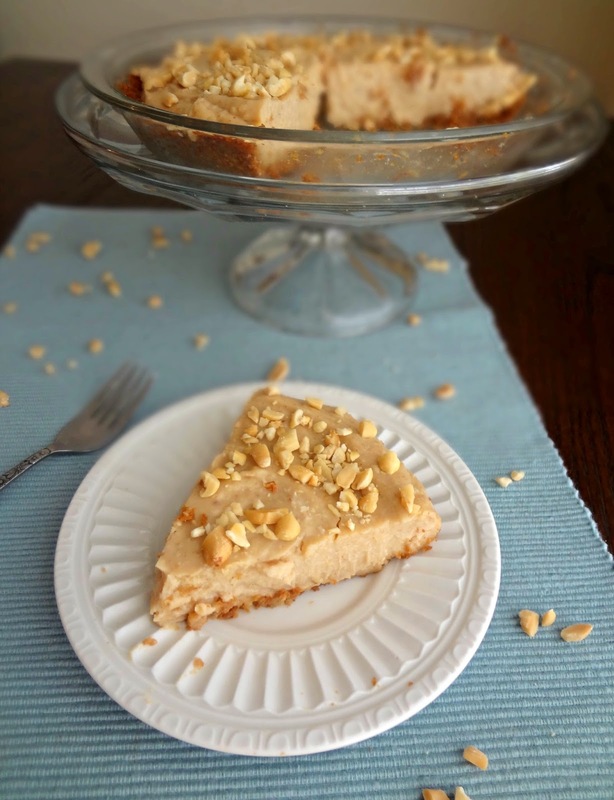 I have peanuts....there's a recipe for pb pie I haven't tried yet....and I have all the ingredients already." And then I made it. And then I said, "Mmmmmm..."
I've made a few different peanut butter pies in the past, and I have loved them. (Because....peanut butter. In pie.) But I'm always up for trying a different kind! What's cool about this recipe is that the filling is essentially peanut butter pudding. Which is freaking awesome. 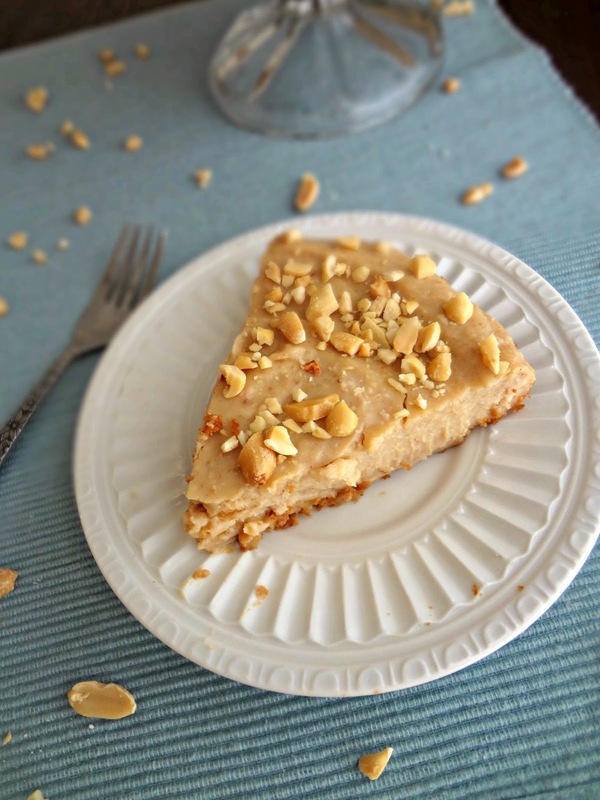 It's rich and thick and full of peanut butter flavor! 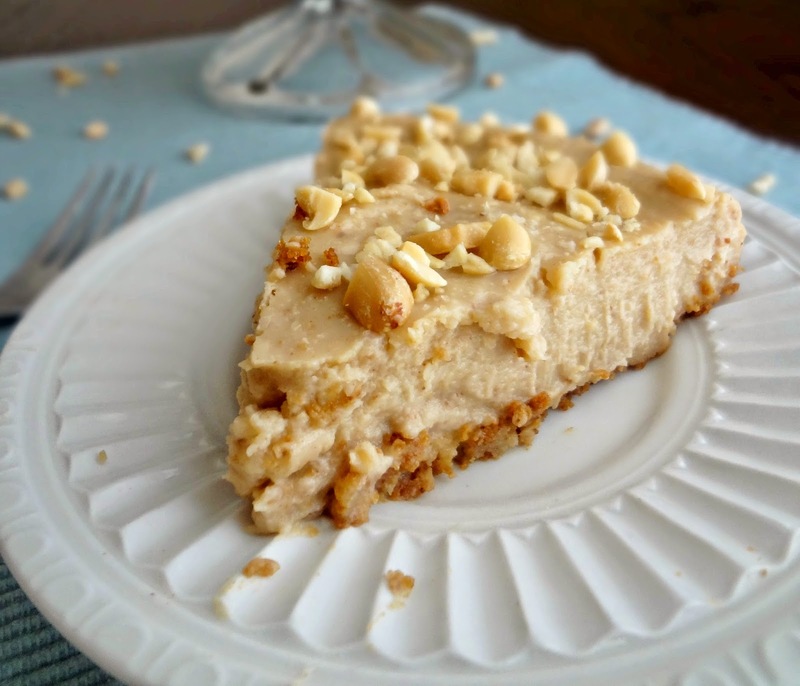 Then, to contrast the pudding texture, the buttery graham cracker crust and the crunch of the peanuts on top are just perfect. I'm definitely a fan. As was evidenced by the empty pie plate some days later. Adapted from Evil Shenanigans' "Peanut Butter Cream Pie with Chocolate Whipped Cream"
After you've made (or bought) the pie crust and it has cooled (if needed), whisk together the milk, egg, sugar, and cornstarch in a medium saucepan. Place the pan over medium heat and whisk until just before the mixture gets warm. Add peanut butter and whisk until it thickens and starts to simmer (this may take awhile). Remove the pan from the heat and add vanilla and butter, mix until combined. Pour into the prepared crust. Smooth the top so it is even and cover with plastic wrap (the wrap should be touching the surface of the pie). Chill for at least 4 hours, or overnight, before serving. Store in the refrigerator for up to 1 week. 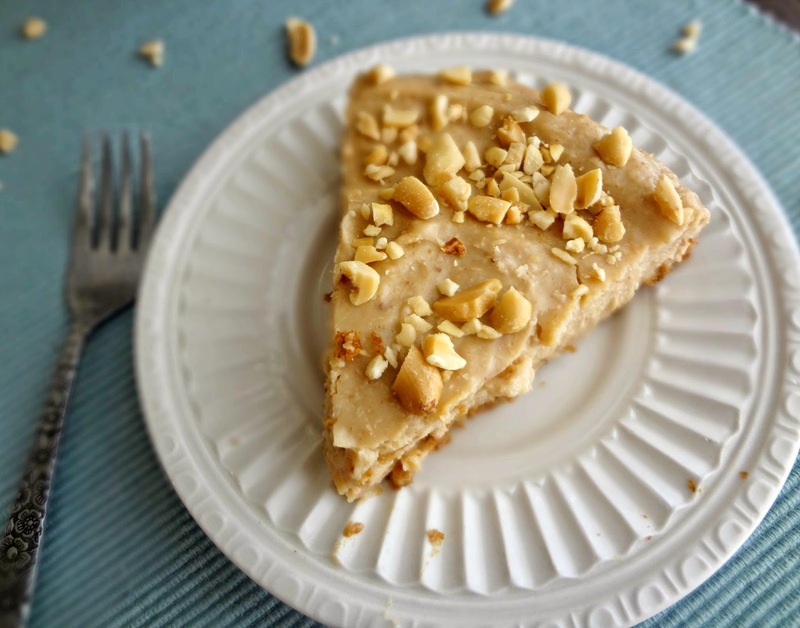 If desired, before serving sprinkle chopped/crushed peanuts over the top of the pie. Cut and serve! Have I mentioned how much I love taking photos on my new table by my window? LOVE IT!